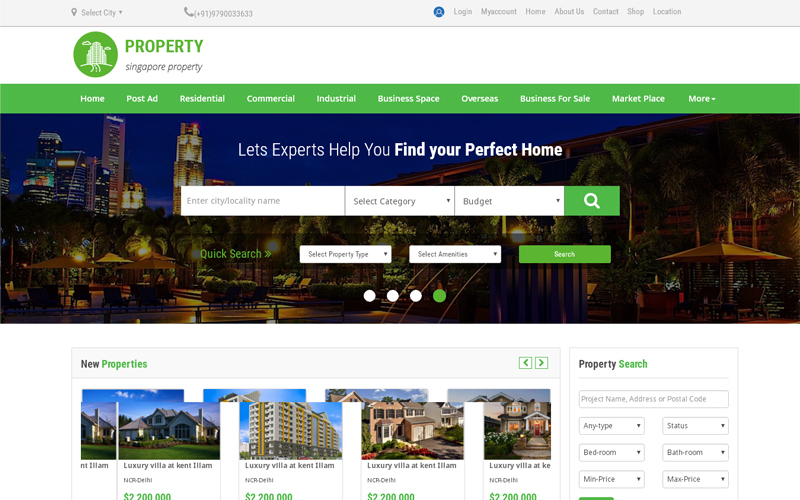 In our Advanced PHP real-estate Script, we have covered almost all the key features which all are available in the leading real-estate websites like makaan.com, Indiaproperty.com and Magicbricks.com. We have used some latest technologies like PHP5.5.3/MySQL , AJAX to Develop Makaan Clone. Our zillow clone script has more secured and reliable script for your business. Here we have also added some more revenue making methodologies like Google Ads, Banner Ads. You can also get more revenue from site visitors by collecting premium membership and commissions. If you would like to start your very own real estate website you don’t have to worry, you are in the right place. This realtor clone script will definitely help you to start your real estate business. Our redfin clone script is user-friendly and easy to access from almost all the devices as it has a responsive design. We have also developed it with a secure coding style. We know that getting your website to the users is necessary; hence we have made our script to be SEO-friendly by optimizing it with Google standards which makes your site come on top of the search results, thereby increasing your sites ranking and visits from the search engines directly. View property location by map. The after sales service that I’ve received from the author has been efficient, timely and effective. Excellent work! Awesome Theme!!! Great job guys. I totally recommend.